In a breathable 4-way stretch fabric, this simple base layer is both practical and comfortable. 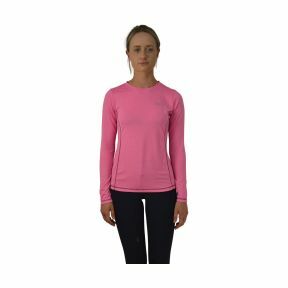 Perfect on its own or as an extra layer in cold weather, this base layer is designed in pretty pink fabric with contrasting lining and topstitching and features the Hy logo on the chest. Breathable 4-way stretch material, offering style and practicality. An essential piece of riding wear.